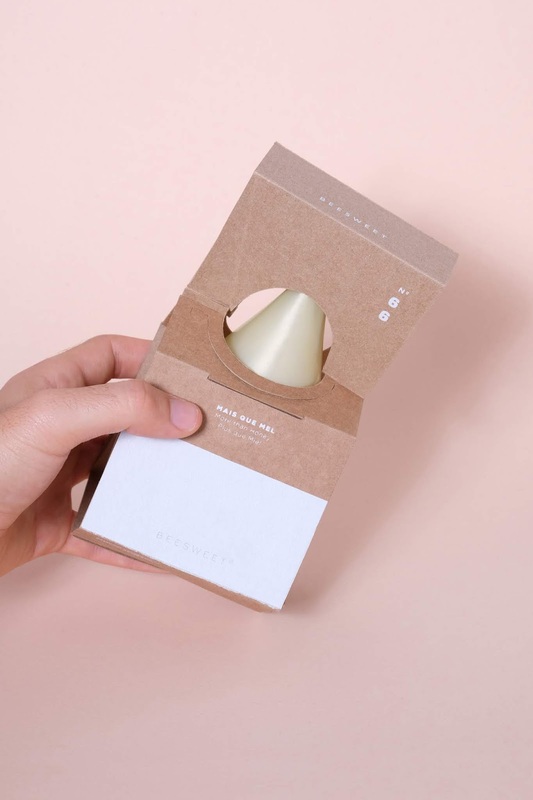 The Beesweet project promoted the creation of a packaging solution for a premium product: a drop-shaped honey container. The company sells aromatized honey (created in blueberry, lemon, mint, cinnamon, chocolate and salty honey), an organic product with a high gastronomic potential, where the processes used in its production are natural. 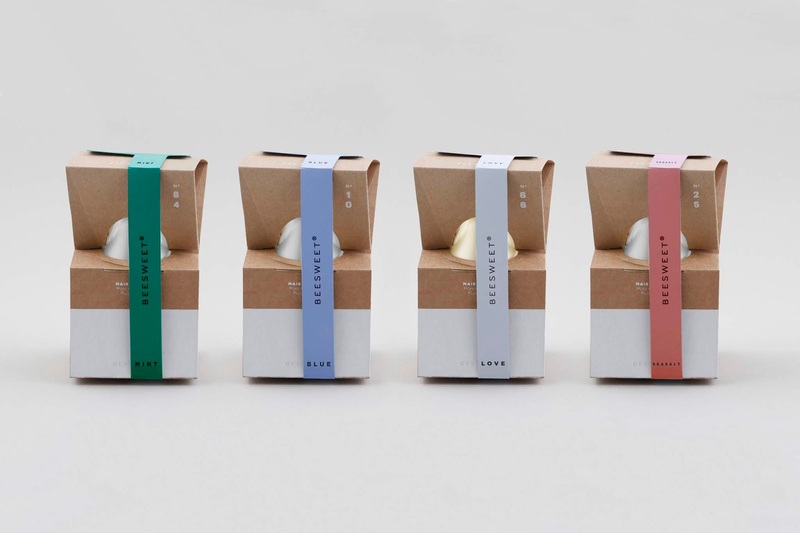 The packaging uses environmentally friendly materials and graphically the approach is pure and minimal. 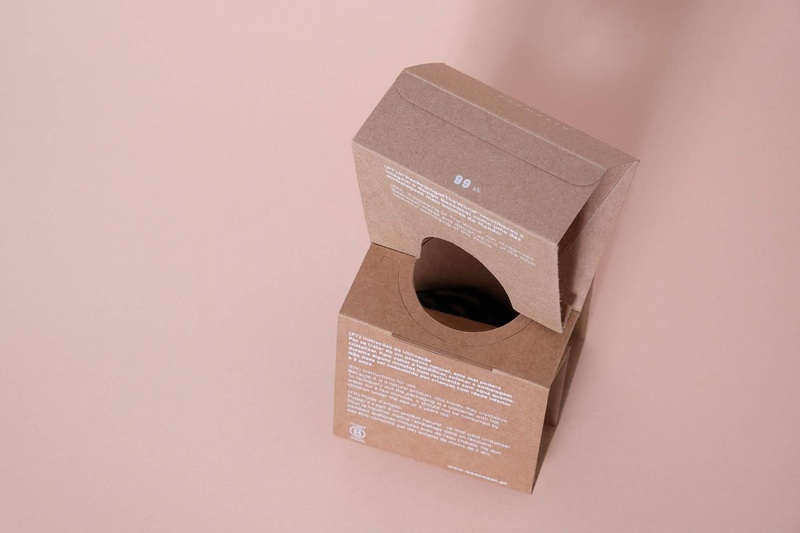 The use of white printing on craft recycled paper (refers to the natural), where the color of the product and the corresponding labels is privileged. 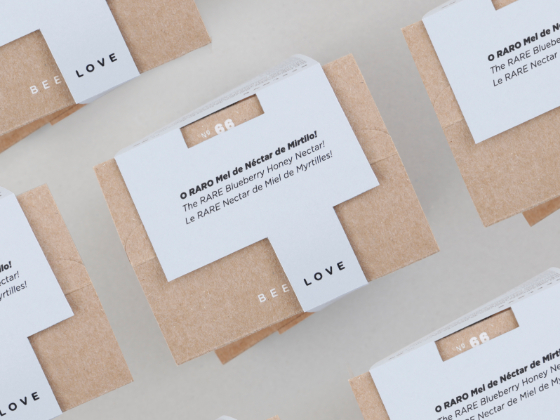 The products are referenced by name, color and number (for example: # 66 - conditional love, Be Love - honey and chocolate). 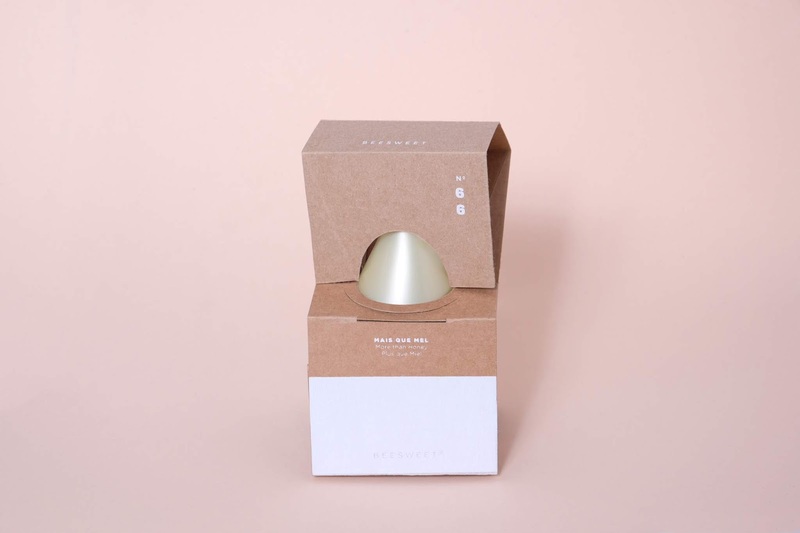 The packaging involves and protects the product, valuing the honey and belief in the preservation of the bees! Its simple shapes are the best way to show the naturalness of the product. This package has a special handling, creating a mechanism of rotation of 180 °, to obtain the delicious honey. To the consumer just remove the strap and move the top to get the product. This dynamic effect is intrinsically linked to the process of obtaining honey by bees (Collection - Cooperation - Favo). The packaging is fully planned.